Sheikh Hasina will not always be in power. Even now if she becomes even more autocratic and restricts the democratic space in her country, the blowback effect will be severe on India. While India and the Awami League government broadly share a similar view on the region, it is incumbent upon New Delhi to continue to remain engaged with other political stakeholders in Bangladesh. From terrorism and Islamist radicalism to border control and water management, the issues facing the two neighbors are quite significant. Therefore, the relationship will have to move beyond personalities to a more institutionalized framework. Similarly, the Maldivian situation will demand that India remains engaged with a whole host of political leaders beyond just Solih and Nasheed. India’s ties with the Maldives nosedived after President Abdulla Yameen imposed an emergency in the country in February 2018 and sections of the Indian commentariat made it seem as if all was lost. The government of President Abdulla Yameen’s had ordered India to take back the two naval helicopters gifted to the Maldives, a policy that was reversed after his defeat. Yameen’s shock defeat and Solih’s victory opened up space for renewed Indian engagement based on reciprocity, but it cannot be assumed that challenges to India would end with this political change. In Sri Lanka, Rajapaksa is waiting in the wings to come back despite recent setbacks. New Delhi will have to engage him substantively irrespective of the present comfort being derived from his marginalization. Rajapaksa took Sri Lanka closer to China and ignored Indian concerns including over the rehabilitation of Tamils displaced by the long-running Sri Lankan civil war. For Indian concerns to be tackled effectively, India will have no option but to deal with Rajapaksa given his strong clout in the nation’s polity. These close inter-linkages in South Asia also mean that for smaller states, India will remain an important partner. Like in the past, they will continue to use China and India against each other but they don’t have the luxury of ignoring India and its concerns. And this is understood well in Indian neighboring capitals than it is in New Delhi where the strategic community continues to assess every move and countermove of these state from a zero-sum perspective. While the China story in South Asia is now old, what has certainly changed in the Indian response over the last few years is New Delhi’s willingness to raise the stakes and be counted. 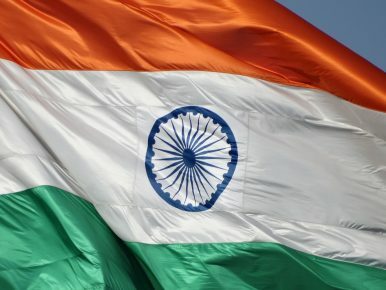 India is indicating that it is willing to fight it out and in the personalized political world of South Asia, this has meant India and China picking their favorites with all the attendant consequences. There will be times when it would seem that India has an upper hand while at other China would seem to be the dominant player. But that would hardly change the underlying structural logic of South Asian geopolitics. The other shift in Indian position now is an articulation of a new strategic geography, moving the gaze away from its western frontier to the Bay of Bengal. This too comes with its own set of costs but it also opens up new possibilities if effectively implemented. This allows India to envision a wider strategic logic of its neighborhood, all the way to East and Southeast Asia. At a time when India’s role in the Indo-Pacific is focus of its external engagements, such a reimagination can help it anchor its ambitions more firmly in this wider geopolitical space. The story of 2019, whatever the outcome of parliamentary elections, will essentially be about India adjusting its engagements in its neighborhood. And in that process the lessons of 2018 will play an important role.